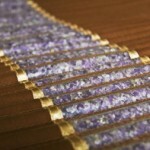 The Amethyst Crystal Biomat is BY FAR my most favorite and utilized healing tool. My clients, family and friends love it too. Working with Biomat is like having another facilitator assisting with relaxation, enhancing energetic shifts, opening psychic channels while rejuvenating the physical body. This advanced technology is the only product to combine Far Infrared Rays, Negative Ions, and Amethyst Crystals for a true mind, body, and spiritual healing experience. Through the delivery of soothing, deep penetrating far infrared heat, the Biomat is able to replace damaged cells, release blockages and restore cellular life force, which empowers the body to heal and bring itself back into balance. It is also perfect for an afternoon catnap, fantastic to support cleansing/fasting and WONDERFUL in the winter months!!! 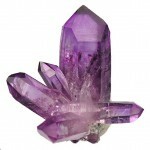 The Amethyst Crystal Biomat is being prescribed by doctors for the effective treatment of a range of health issues, including cancer, diabetes, stress, insomnia, tissue damage, post-surgical healing and scar reduction, joint and muscle soreness, back pain relief, detoxification, inflammation and arthritis, and circulatory issues. The Biomat is a US FDA approved medical device for pain and stress management. Because it user-friendly and safety-approved for home use, the Amethyst Biomat is an ideal addition to support of healthy vibrant lifestyle. Just by lying on the Biomat, one experiences deep relaxation, cellular detoxification and healing benefits for the body’s many systems. The benefits of the Biomat include: enhanced immune system functioning, improved cardiovascular health, stress and fatigue reduction, inflammation reduction, eased joint pain and stiffness, elimination of toxins in the body, increased blood circulation, alleviation of migraine and tension headaches and sleep enhancement. The Biomat combines the triple synergy of far infrared rays, negative ions therapy and the superconducting properties of pure amethyst crystal. 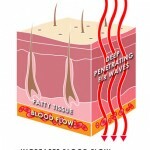 The far infrared rays are the most beneficial natural lightwave for the body. Harvard Medical School has documented the far infrared ray is a powerful detoxifier shown to destroy cancer and viral cells without harming surrounding healthy cells. Penetrating 6-8 inches into the utmost recesses of the body, the far infrared ray clears blockages and restores flow to entire micro-circulatory system. It also enables cellular renewal post trauma or surgery to occur 57% faster. The negative ions emitted from the Biomat delivers a molecular level massage while scavenging free radicals from the air and balancing the auric field of the body. The Amethyst Quartz assists in psycho-spiritual-emotional clearing and uplifting mood, and is known to awaken the human DNA to its highest potential. 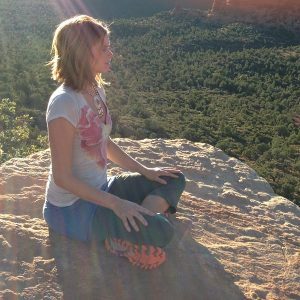 Anahata is the founder of Shamangelic Healing based in Sedona, Arizona, where she offers Shamangelic Healing Sessions, Energy Healing & Shamanic Training Courses, Personalized Sedona Retreats, Cleansing & Life Detox Programs and Soulful Spiritual Journeys to Peru. 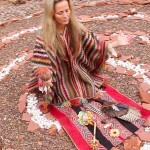 Anahata has trained extensively with gifted shamans, energy healers and spiritual teachers from Peru, India, Asia and North America in order to artfully integrate the fields of energy healing, self-empowerment, shamanic teachings, emotional release, spiritual studies and visualization techniques. Blending the compassion and tenderness of an Angel and the wisdom and strength of a Shaman, Anahata guides journeys of profound healing and awakening. 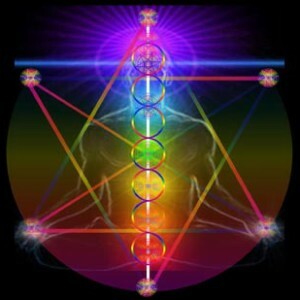 Her extensive client base spans the globe and includes business professionals, parents, couples, healers and individuals of all ages, who seek to heal and awaken their fullest potential.